Mangaluru, January 25: Dr. N. K Thingalaya, former Chairman and Managing Director of Syndicate Bank and Professor-Emeritus of the Justice K.S. Hegde Institute of Management Passes away today afternoon in a private hospital. He was 81 years. He is survived by two children. It is learned that he had developed pneumonia and had been admitted to KMC Hospital three days back. Suffered cardiac arrest this afternoon and breathed his last in the evening. Funeral will take place on Tuesday, January 29 it is learned. The funeral is scheduled to take place on Tuesday, January 29. Dr. N. K. Thingalaya was widely acknowledged as one of the brilliant bankers of the district, having deep academic knowledge of the field. He was an authority on banking history and had published seven books on subjects related to banking and challenges to this field in the context of globalization. Dr. N. K. Thingalaya was a postgraduate in Economics from Bombay University. He received his doctorate, in Intersectoral Price Analysis in 1966 from the Bombay University. He joined the Syndicate Bank, one of the largest public sector banks in India as an Economic Advisor and rose to the position of Chairman and Managing Director. 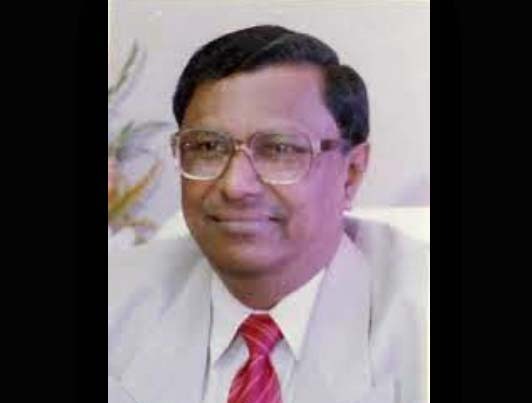 After retiring from Syndicate Bank, Dr. N. K. Thingalaya served as a Professor Emeritus at Justice KS Hegde Institute of Management with teaching and research interests in Banking and Micro Finance and Rural Development. He also served as a Director of Canbank Investment Management Services Ltd. Dr. Thingalaya has been a Non-Executive and Independent Director of Lamina Foundries Limited since 2003 and Uniflex Cables Ltd. since 2010. He has also served as a Director of Lamina Foundries Limited and as an Independent and Non-Executive Director at Apar Industries Limited from 2001 to 2017. Dr N K, straight forward in his duties as Chairman of Syndicate bank I believe he is instrumental in opening several branches in remote villages. He used to write several articles re banking its products. He used to tell me - only one job in his life that is syndicate bank. Let his soul rest in eternal peace.